The Federal Government has commenced moves to generate electricity from nuclear materials, particularly through the exploration, exploitation and utilisation of uranium. To achieve this, the government invited experts from the International Atomic Energy Agency to conduct a week training for nuclear practitioners and security officers in the country on the extraction, exploitation and utilisation of the substance. Speaking at the opening ceremony of the National Training Course on Nuclear Security for the Uranium Extraction Industry in Abuja, the Minister of Solid Minerals Development, Dr. Kayode Fayemi, stated that it was important for Nigeria to exploit available resources in order to meet its power needs. Fayemi, who was represented by a Deputy Director in the ministry, Mr. Wuyep Karnap, said, “Last week at the National Council on Power conference in Kaduna, the issue of uranium for power generation was actually canvassed as a vital component in the energy mix equation. In March, the Federal Government announced that it was working towards generating 4,000 megawatts of electricity using nuclear energy. It stated that the plan was to start a programme in the coming years that will give the country 1,000MW in the first instance, which will be increased to 4,000MW thereafter. This, according to a statement by the Senior Special Assistant to the President on Media and Publicity, Garba Shehu, was disclosed during a meeting President Muhammadu Buhari had with the Director-General of IAEA , Mr. Yukiya Amano, at the Presidential Villa, Abuja. The Director-General/Chief Executive Officer, NNRA, Prof. Lawrence Dim, told journalists that the latest training would expose participants on how to improve uranium for power generation, as the country does not have the required technology to do that at the moment. When asked if it was now safe to explore the nuclear substance across the country, Dim replied, “Uranium exploration in Nigeria is quite safe. We have not had any cause to find out that there is any high level of radiation or exposure relating to that. 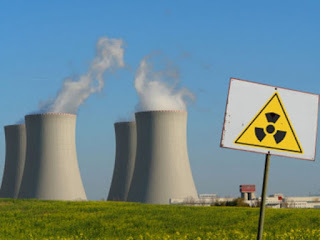 The Senior Nuclear Security Officer, IAEA, Mr Robert Larsen, stated that the exploration of uranium in Nigeria does not pose any threat to global security. “I don’t think so; I have no reason to believe that at all. As a matter of fact I believe Nigeria is a good nuclear partner and that is why the agency is here to see how we can assist in uranium extraction,” he said.